Iranian authorities have released three journalists who were among more than 100 people arrested during pro-government and opposition street demonstrations this week, the country's official news agency reported. 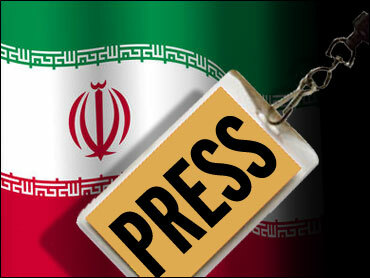 One of the reporters, Farhad Pouladi, is an Iranian who works for Agence France-Presse. The other two are foreign reporters, but the report by the IRNA news agency did not identify them or say for whom they work. Police this week, IRNA said. Sixty-two of them were handed over to judicial authorities for trial on charges of disturbing public order and the rest were released after questioning, said security spokesman Azizollah Rajabzadeh, according to the news report. The protests showed the determination of Iran's opposition to reassert its voice. But the latest marches drew far fewer demonstrators than in the weeks after the disputed June 12 presidential election, suggesting the relentless pressure by authorities could be taking a toll. The protesters believe Mahmoud Ahmadinejad's victory over a pro-reform candidate was rigged. The IRNA report said the three journalists released Saturday had been taken into custody Wednesday as they headed to cover the rallies outside the former U.S. Embassy. Iran has imposed wide-ranging restrictions on media that include bans on firsthand reporting of street demonstrations and other events not authorized by authorities. IRNA said two political activists jailed over the country's postelection turmoil, Ali Tajernia and Ebrahim Amini, have also been released on bail pending a verdict in their trial. More than a 100 political activists and protesters have stood trial since August on charges of seeking to topple the ruling system through what the government has described as a "velvet revolution."